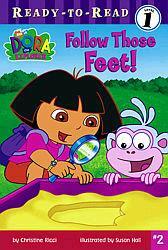 Dora and Boots found some footprints in the sandbox. Whose feet do they belong to? Follow them to find out!